One of the biggest reasons I love jazz music is the culture of the standard: Compositions that are only very loosely attached to their creator, instead belonging to a common pool – melodic resources, free-to-use. Standards are the foundation of jazz music: Unique compositions reflecting an individual consciousness, constantly razed and reimagined. Beauty dissected, transformed, and made beautiful anew – a paradox of novelty and familiarity. Jazz is an intimidatingly broad church: A concert advertised as ‘jazz’ can range from funk to bossa nova, to Dixieland and swing, to bebop and free jazz and acid jazz, piano-driven, brass-heavy, percussion-based, or all about the singer. For my parents, jazz music is random squeaks and squawks without harmonic context. For my friends, jazz is chubby geeks in matching uniforms plodding around the town square on St. George’s Day. The fact that it can be all of these things and hundreds more – often at the same time – is what makes jazz music speak to me like no other art form. In jazz, every original composition is a shipment of raw materials. The materials are often common ingredients that can be found in every home, and sometimes they are rare and exotic flavours – that may seem difficult to digest. Musicians pick up these materials, mix and play with them, sculpt and re-sculpt them. The results can be a collage, a homage, a parody, or Frankenstein’s monster. This is central to the music as a form of dialog: The musician interacting with the composer across geographic space, across time, across genres. This leads to misunderstandings and twisted portrayals, hero worship and heresy, all mixed together. It gives listeners a power that I don’t think other music hands over so freely. There is so much context and interpretation to explore, with one key criteria always top of mind: It has to sound good. This is transformation and retransformation frequently happens at high speed. Standards are not just a common pool of resources – they become a common language for jamming. While jam sessions in clubs and bars are increasingly rare, you can still find them if you know where to look. You can even find great examples online: The YouTube channel Studio Jams shows hastily-assembled, random group of musicians who quickly pick a song to play, align on the style and tempo – and play. You can see this process unfold in the recording of the standard Watermelon Man here. The song Greensleeves illustrates my broader point: The tune is believed to be almost 500 years old. Its composer is unknown, myths attribute it to Henry VIII, children learn to play it on the recorder, ice cream vans terrorise neighbourhoods with it, call centres attempt to pacify irate customers with it. 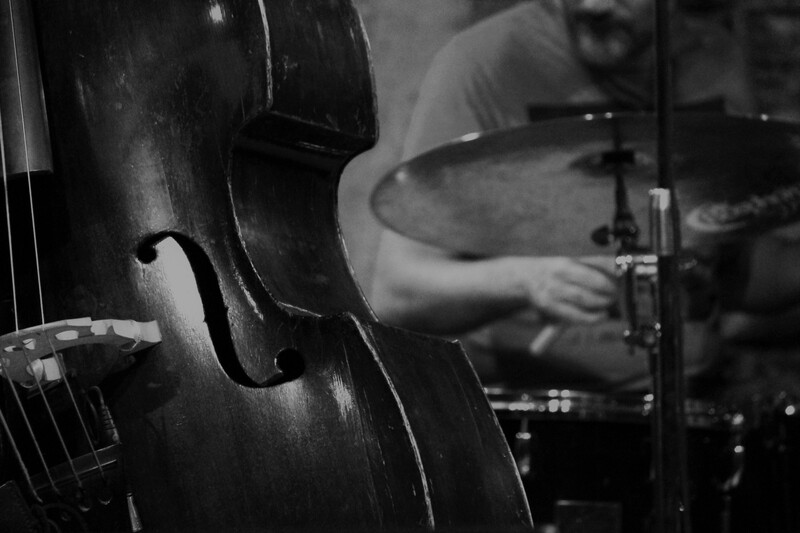 For generations, jazz musicians have interpreted and reinterpreted it. My favourite version is by Coleman Hawkins (you can listen to it here). John Coltrane and Sonny Rollins also made famous recordings of the song, to name just two jazz legends on the tenor saxophone alone. The song is a melody that belongs to everybody and nobody. When musicians approach it, they’re not detracting from the original composition, nor are they entering into a kind of sonic Who-Wore-It-Best. They are accepting a generously-given gift and allowing it to frame their own message. With Greensleeves, they are communicating with a composer who lived 500 years ago: But the jazz standard is about even more than this. The dynamic of nailing down a melody and then setting it free, of ownership and surrender, lending and borrowing, creation and recreation gives listeners a feeling of connectedness other art forms rarely offer. Standards point us towards a shared emotional experience that extends around the world, back to the origins of humankind and forward into our shared future. They imply everything and nothing, everyone and nobody, you and me. That is why I love jazz music.